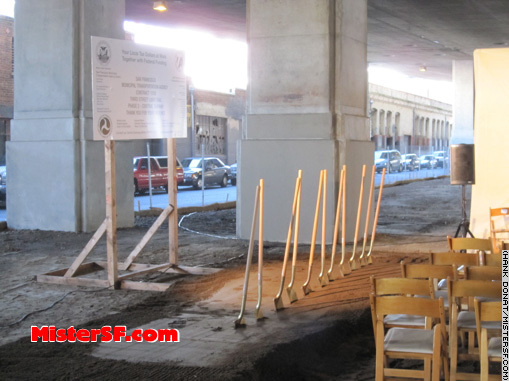 Eleven spades: Shovels on the scene of this morning’s ceremony under the freeway at 4th and Stillman Streets where the mayor, City supervisors and others would later officially launch the Central Subway project. 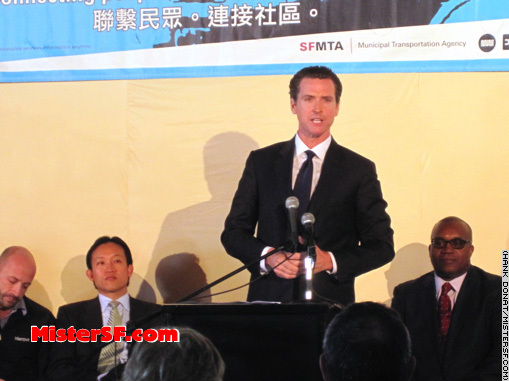 The future Central Subway is a 1.7-mile light rail extension from the current stop at Fourth and King Streets that will take riders northward to Union Square, Chinatown, and North Beach. 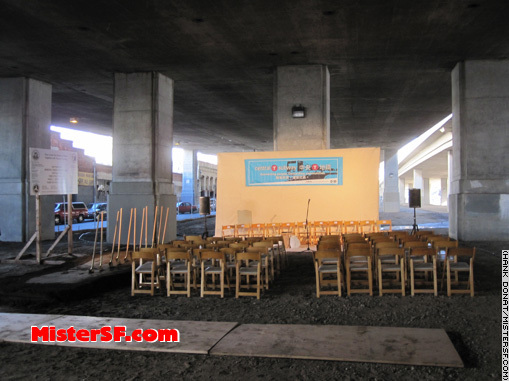 The current given cost is $1.6 billion. 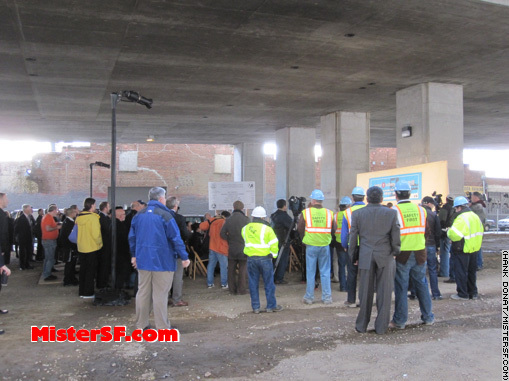 San Franciscans turn out to herald the start of something new. 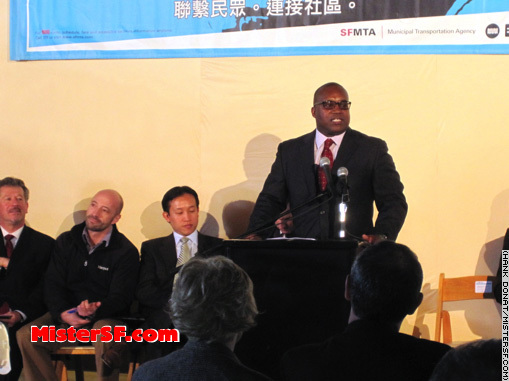 San Francisco Municipal Transit Agency Executive Director and CEO Nathanial P. Ford Sr. looks forward to the first tunnel mining here in 2012 and to the subway opening in 2018. 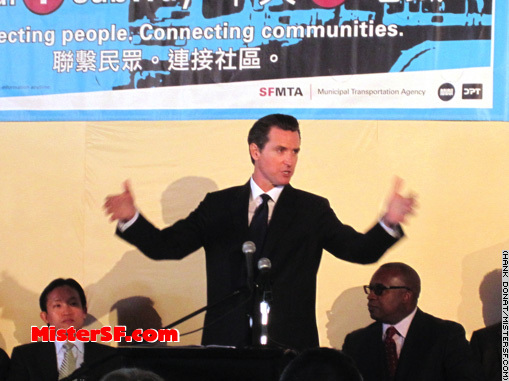 Mayor Gavin Newsom welcomes the future, says the new subway will create jobs and improve regional transportation. 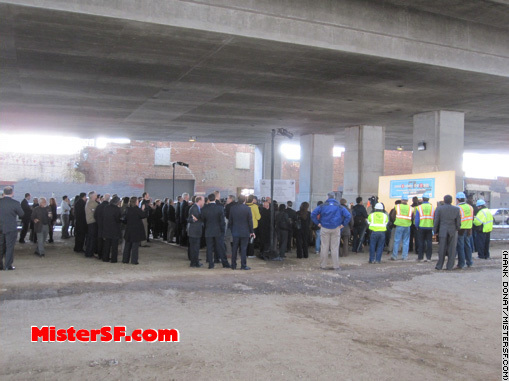 The final subway plans create an artery from Bayview and Hunter’s Point through Mission Bay, Moscone Center and SoMA along the 4th Street corridor.